Viknesh Vijayenthiran April 8, 2019 Comment Now! 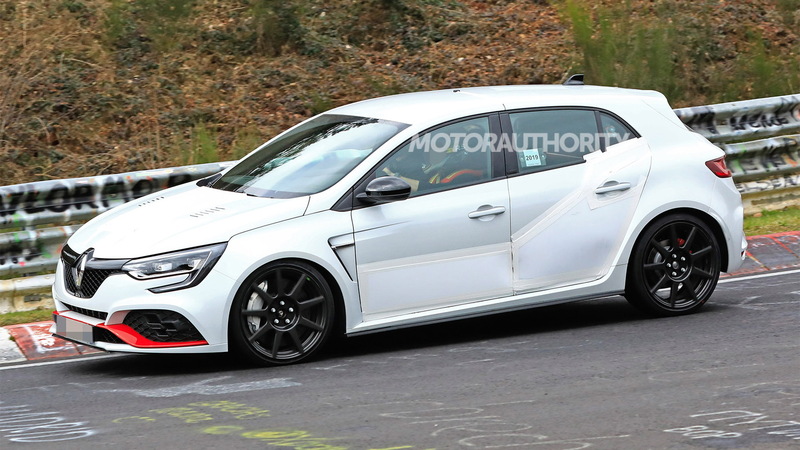 Renault is working on a more extreme version of its Megane RS Trophy hot hatch that was launched in 2019. 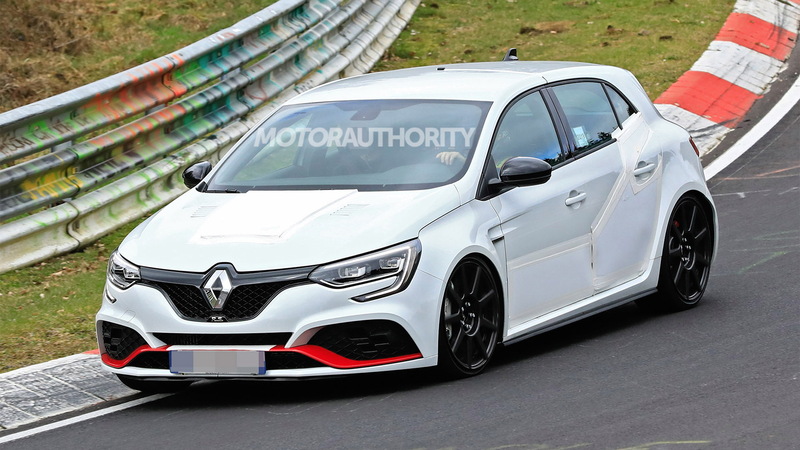 The new addition is likely a successor to 2014's Megane RS Trophy R, which at its launch held the record for front-wheel-drive production cars at the Nürburgring. 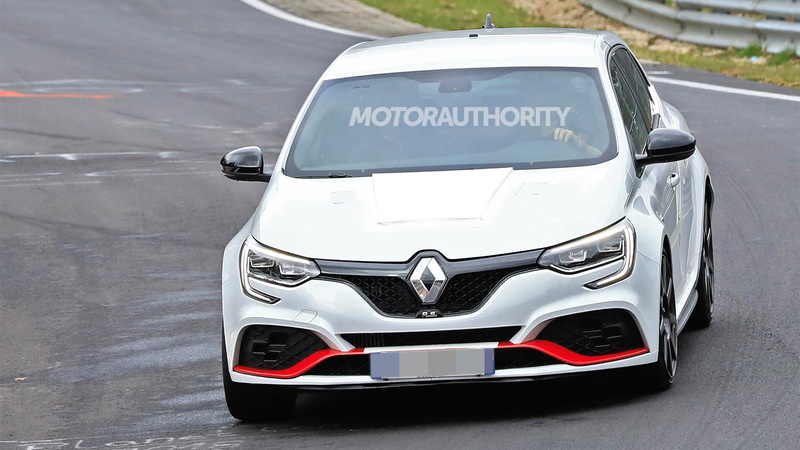 With the record currently held by the Honda Civic Type R, a time of 7:43.8, Renault is likely keen to reclaim it with the new Megane RS Trophy R.
The current Megane RS Trophy packs a 1.8-liter turbocharged inline-4 rated at 296 horsepower and 310 pound-feet of torque, which sees it deliver a 0-62 mph time of 5.7 seconds and top speed of 161 mph. Those figures are achieved with the car's available 6-speed dual-clutch transmission. A 6-speed manual is standard but this option has a lower torque rating of 295 pound-feet. It's possible Renault has extracted more performance from the RS Trophy R's engine, though it's more likely the engineers have focused on a sharper chassis and reduced weight. The previous-generation RS Trophy R was close to 220 pounds light than the RS Trophy it was based on. 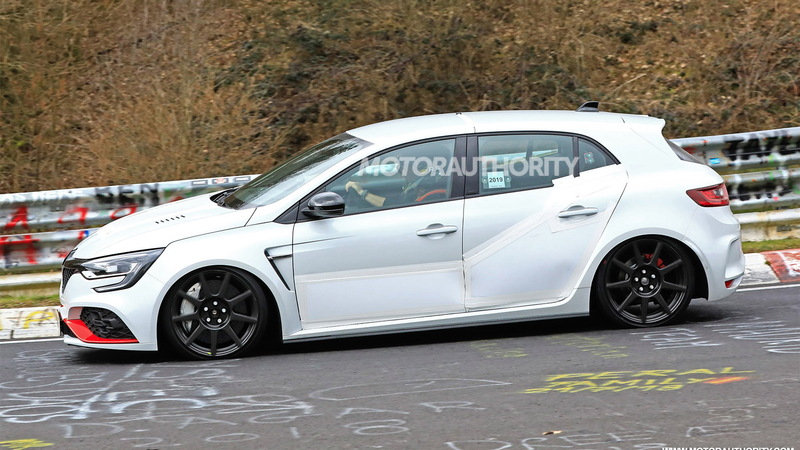 The latest tester appears to carry carbon fiber wheels and carbon-ceramic brake rotors. There is also a new hood, which could also be made from composite materials to further save weight. Other performance upgrades are thought to include Ohlins dampers and an Akrapovic exhaust. 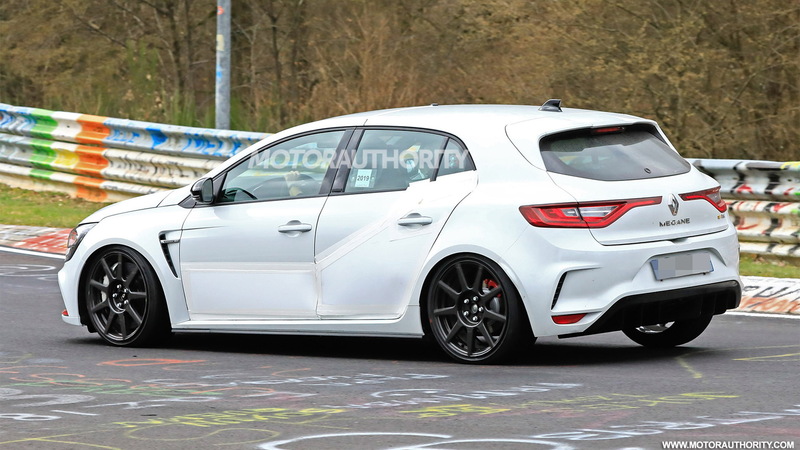 Renault is working on a mid-cycle update for the entire Megane range for launch in 2020. We'll likely see the RS Trophy R arrive just prior to the launch of the updated range. A debut should take place late this summer. Sadly, we won't see the car in the United States as the Renault brand doesn't operate here. In other markets, the new RS Trophy R should arrive in showrooms late in 2019 or early the following year.